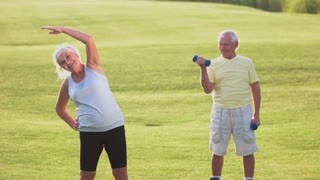 Senior couple doing exercises. Woman and man outdoor. Health of joints and muscles. Fitness changed our life.